Don't fall behind. Choose one of our three helpful tools NOW! 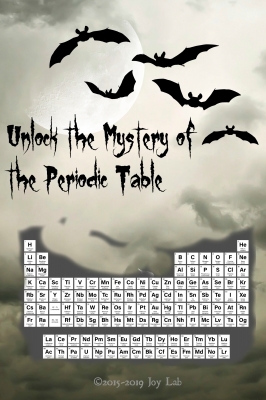 Unlock the Mystery of the Periodic Table! How to Succeed in Chemistry Without Really Crying! You want an A in Chemistry. You want to pass the AP test. 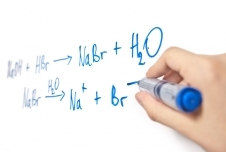 Through questions covering six core topics in chemistry, you will learn the approach to tackle all the problems you will encounter in first year chemistry! Get complete access for only $219! Common chemistry problems are worked by a college chemistry professor. I WANT TO ACE CHEMISTRY! High school teachers who suddenly find themselves teaching chemistry in addition to coaching volleyball. Who should take this course? 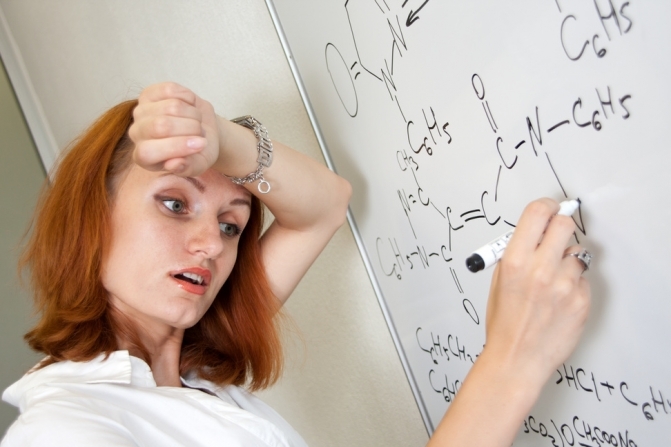 Over 100 chemistry problems are clearly explained by an experienced college professor. Study this course, and you will succeed without the additional expense of private tutors! With Joy Lab you get the answers you need by an experienced professional college professor. You will not make the common mistakes other chemistry students make, because we know these mistakes and train you to avoid them. With Joy Lab you get a lot of practice working problems, all in one place, which other free sites cannot provide. Free sites do not provide calculator guidance. Why should I pay for this course, instead of just looking at free YouTube chemistry videos? Commit to success. Be at the top of your class. For $219 you get 106 problems clearly explained by an experienced college professor. That's less than $2.10 a problem! For $219 you get 7.83 hours of video solving the types of problems you will find on your chemistry exams. That's less than $28 an hour! Quality private tutors run $35-150 an hour. Professional group tutoring sessions run $40-90 an hour. Tutors require appointments. Joy Lab is available anytime. By registering for the course, you have 24/7 web access to all the video lessons from any computer or mobile device for six months. Get on the right path for chemistry success for $219. I WANT ONLINE CHEMISTRY HELP! Passing Chemistry is possible, but it is not easy. Using the VALUABLE eBook can help! But you must work at it. 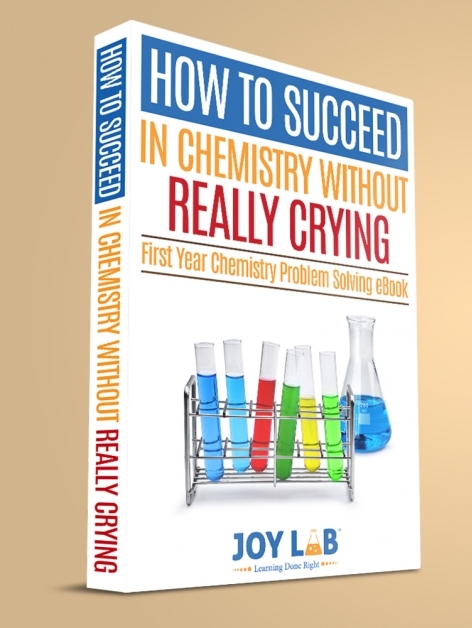 With time and effort, and the help from this VALUABLE eBook, you will ace chemistry! Don't wait! BUY NOW and get closer to your A+! Written by an US chemistry professor who has taught for over two decades. Our professor knows what skills students need to succeed in first year chemistry. And he has a sense of humor! Stop struggling. For only $14 you get an insider guide! An immediate link to the course site in your email. Unlimited replays of the course materials for 6 months. 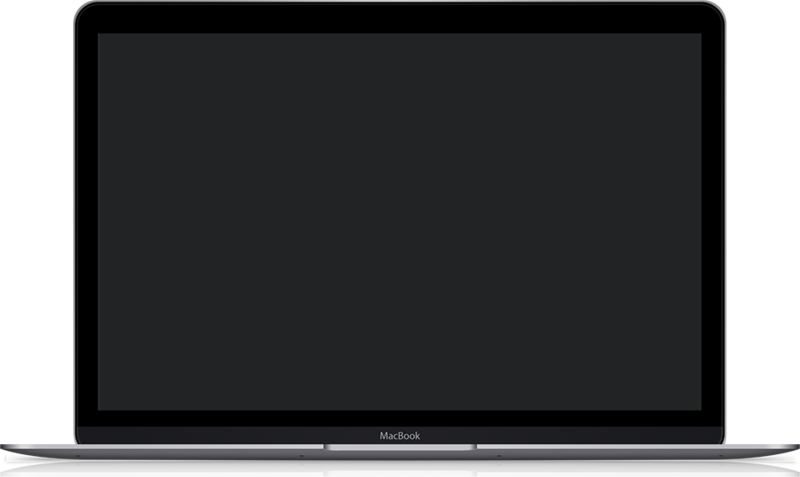 Resume learning exactly where you leave off, including mid-video. Or jump to the questions you need. Access to the course website any time on your computer, laptop, tablet, or mobile device. Don't wait until you've fallen behind. Get your First Year Chemistry Video Tutorials today! No spam! Your information will never be shared or sold. Have a question? Just ask! Be at the top of your class. Prepare for the AP exam. 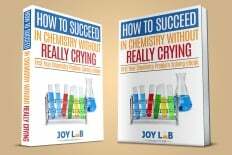 Here you can Succeed in Chemistry Without Really Crying! Your chemistry success is worth it! You have reached the end of the page. But your chemistry journey of success starts here.